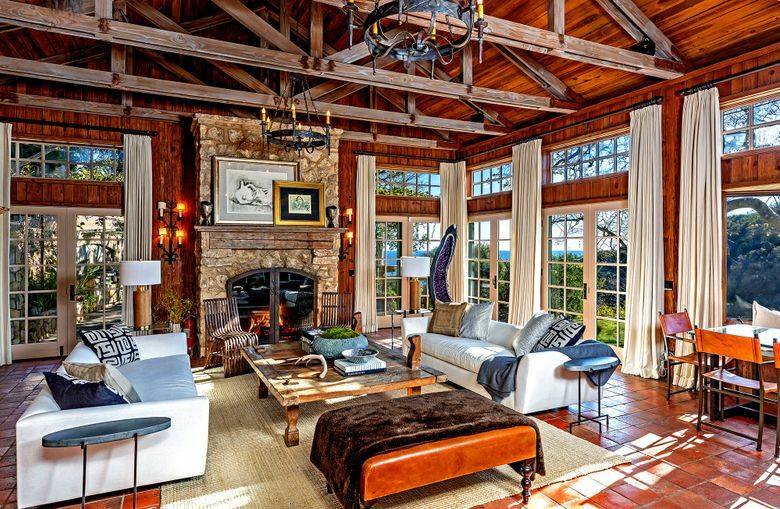 The rustic estate, which was once owned by actors David Duchovny and Tea Leoni, is tucked away in a canyon on five-plus acres. Oscar-winning actor and director Mel Gibson, who stars in the upcoming neo-noir crime thriller “Dragged Across Concrete,” has put his remote estate in Malibu on the market for $14.495 million. 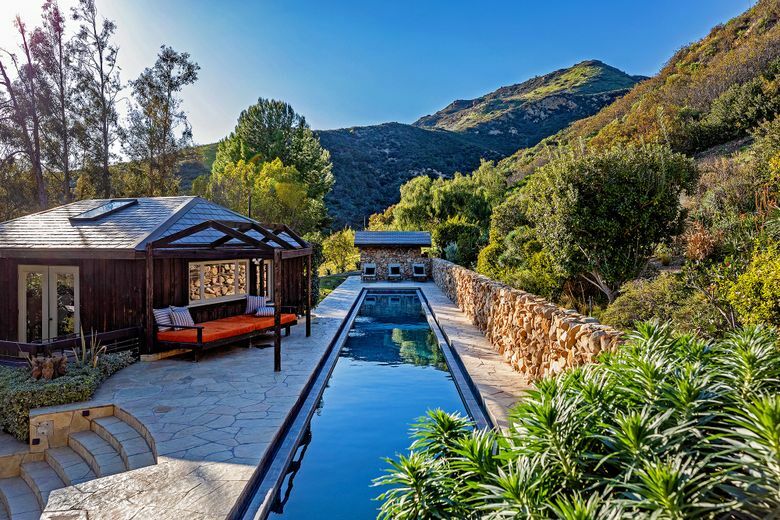 The rustic estate, which was once owned by actors David Duchovny and Tea Leoni, is tucked away in a canyon on five-plus acres, making it both private and secluded. Clad in stonework, the two-story house features exposed wood beams, rich hardwood floors and massive fireplaces befitting a scene from “Braveheart,” the 1995 film for which Gibson won two Academy Awards. Wrought-iron chandeliers above the great room and den further the Old World ambience. The main house has five bedrooms, four bathrooms and nearly 6,600 square feet of living space. A French-inspired kitchen has an island and picture windows with views extending as far as the ocean. Sets of French doors border the common rooms. Located in a private wing, the master suite comprises two walk-in closets and a lavish bath with a clawfoot soaking tub. A private balcony sits off the master bedroom. A blanket of eucalyptus trees and native plantings surround the property, which has two ocean-view swimming pools, a gym/pool house, a vine-wrapped dining pergola and lawns. A two-bedroom guesthouse sits above the detached three-car garage. Gibson bought the property from Duchovny and Leoni more than a decade ago for $11.5 million. The 63-year-old has other holdings in Malibu.